Sundog Media is an web and graphic design company based in Anchorage Alaska. For 14 years we have been creating brilliant web and print solutions for companies and organizations just like yours. 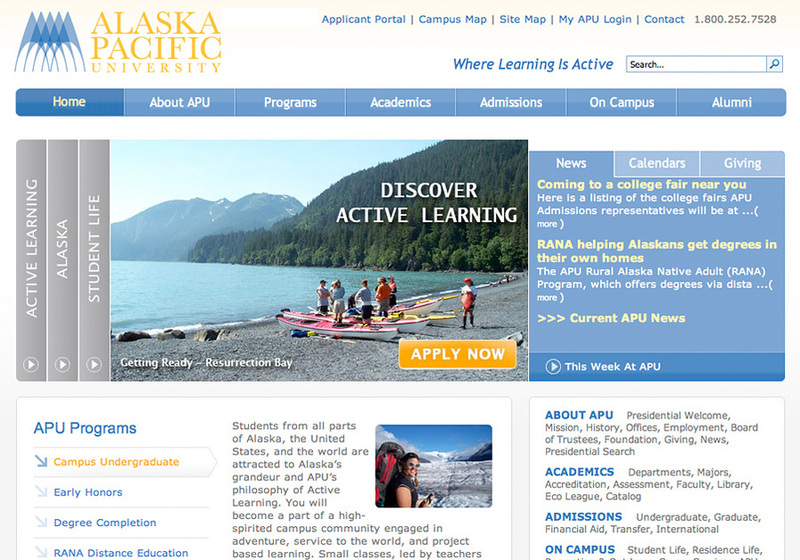 This is a screenshot from a redesign of www.alaskapacific.edu completed by the Sundog Media team.